2018 is nearing an end and if you're ringing in 2019 with the hopes of the question being popped, it's time to start thinking about engagement rings. Just like clothing and shoe trends, jewellery offers its own fun and unique takes on traditional ring styles. Aside from being a symbol of eternal love, devotion and lifelong commitment, diamond engagement rings are undeniably beautiful. Giving diamond engagement ring to your would-be dates back to the late 1400s, when Archduke Maximilian of Austria proposed to Mary of Burgundy with a ring set with M shaped diamond. Even to this day, no proposal feels truly complete without an engagement ring. 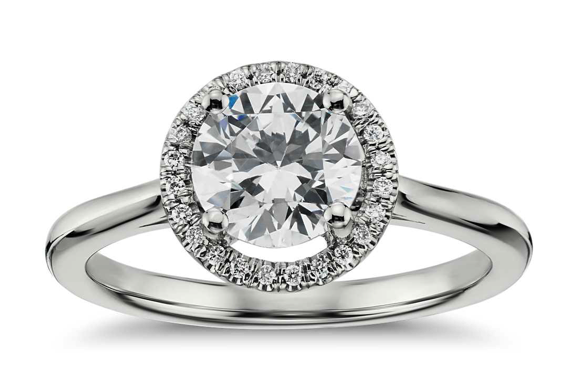 As you only wear one engagement ring in your lifetime, it should be such that, it fits your style statement. While the traditional solitaire diamondin platinum rings are dazzling, but having a unique ring is a great way to create a style statement. Here are the top 5 engagement ring trends to keep your eye on in 2019. Halo engagement ring trend is something that is here to stay for longer. It was in trend in 2017, 2018 and will be too in 2019. Elegant and sophisticated, halo engagement rings are ideal for the bride-to-be who wants her ring to have a lot of sparkle. Designed to attract attention, a halo ring has a single central diamond surrounded by smaller diamonds, giving an extra serve of sparkle and creating a style that is related to vintage engagement rings. Recently, rose gold has made a strong name for itself among classic silver and gold. This phase is not going to fade fast, and there's a good reason for that. 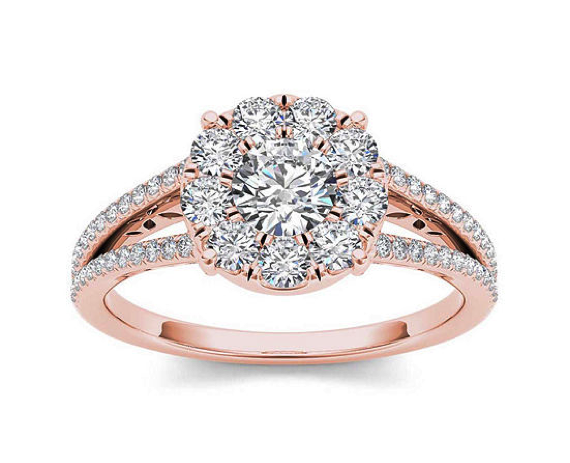 Rose gold is not only a beautiful hue but a romantic one as well and a perfect colour to truly set off your diamond. This feminine rosy shade flatters all skin tones. If you want to have a stunning rose old ring then go for the one with Morganite stone. This is a pink-hued stone making a great combination and truly a unique one. Coloured stones have been in trend for long and you can expect this trend to continue in 2019 as well. If you are the one who doesn’t want a traditional engagement ring and want unique engagement rings that truly reflect your personality, then try coloured diamonds in place of a classic white diamond. 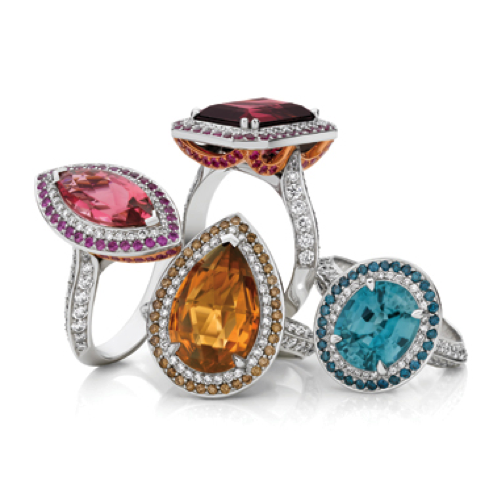 Whether as the main stone or the flanking accents, these pops of colour in the form of sapphires, emeralds, yellow or pink diamonds give a classy, yet unique touch. Most brides these days embrace unconventional engagement rings, but some are going back to the basics with simple solitaire diamonds and yellow gold settings. Platinum and white gold have long been two of the most popular engagement ring metals, but you can expect to see a resurgence of engagement rings with yellow gold bands in 2019. 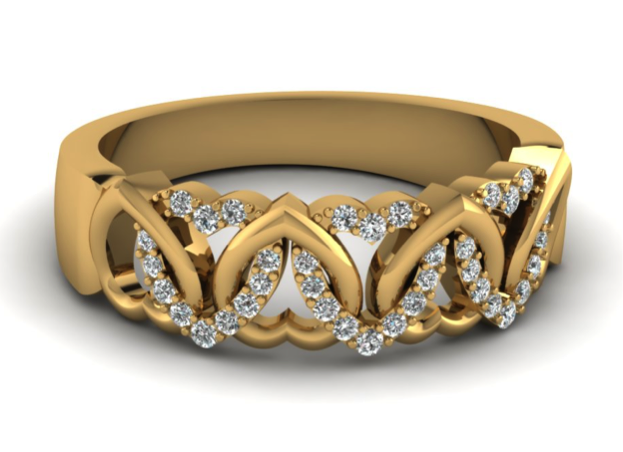 The benefits of having a yellow gold engagement ring are that the gold is universally flattering and easy to resize if necessary. In 2019, brides could be seen embracing a blast from the past by wearing vintage-inspired diamond cuts engagement rings such as emerald and marquise. The thing about these two cuts is that they look stunning with or without a halo setting and can often make stones look bigger than they actually are. 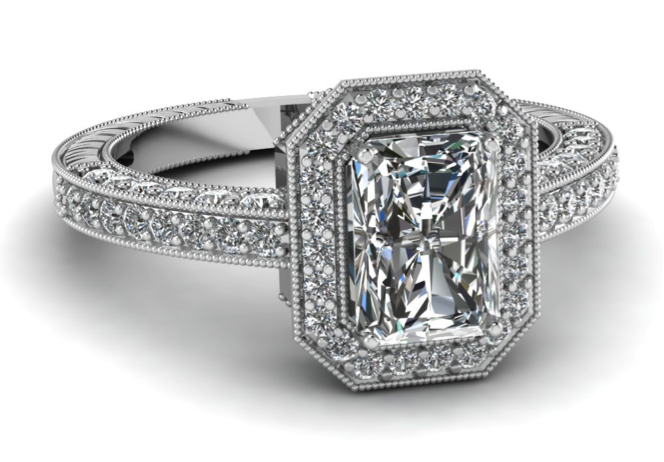 Rocking an engagement ring with emerald or marquise cuts will bring a bit of old Hollywood glamour to your big day. These are the top 5 engagement ring trends you will see in 2019 and if you want to know more on coloured diamonds, then paying a visit to Australian Diamond Company would be helpful. The author of this blog post is a certified gemologist with over 8 years of experience. He is currently working with Australian Diamond Company and loves to share his knowledge with general people looking to buy diamond engagement rings and other diamond jewellery. His experience and knowledge of diamonds can be seen through his writings.